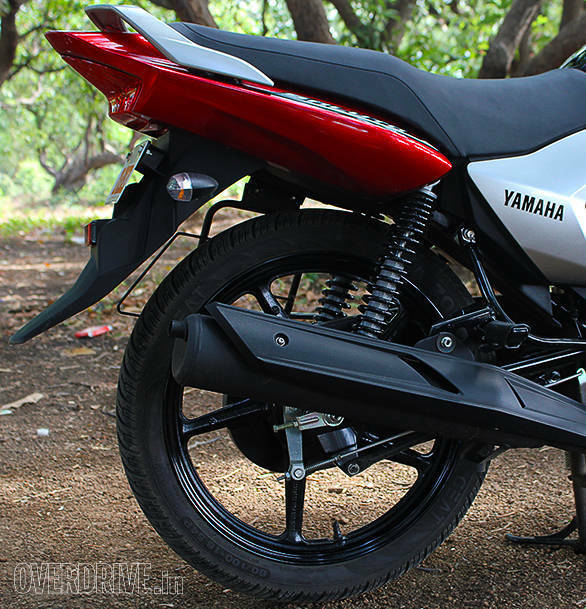 The 125cc class emerged from the need to give the commuters something more than just a fuel efficient engine and with the Saluto, Yamaha aim to provide them with more power and refinement as well. In a stare-off with the competition, the Saluto holds its ground. The tank is an attractive shape with minimal graphics and similar to the FZ series, it features plastic panels on either side of a metal tank. 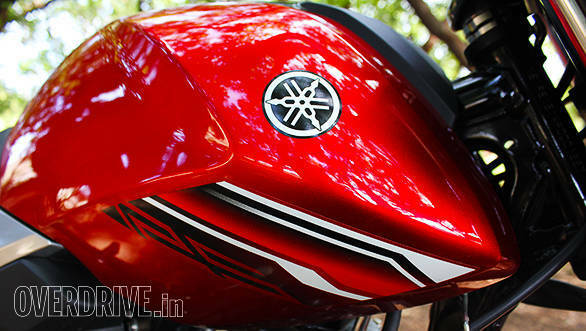 This time around, Yamaha have managed to do this without the ugly mount points that marred the FZ's looks. The tank flows neatly into a two-tone side panel while the rear subframe section is also a similarly curvy unit culminating into a sharply pointed tail. 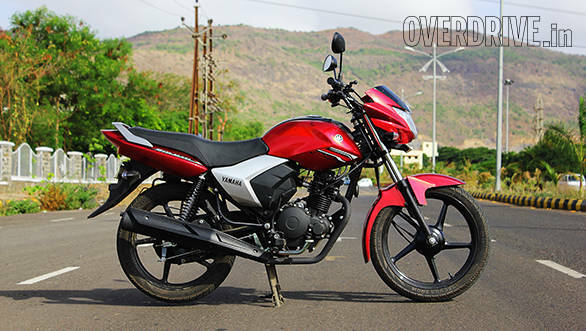 It does feel like a step up from the commuter class in terms of looks and build quality but is par for the course in the 125cc segment. 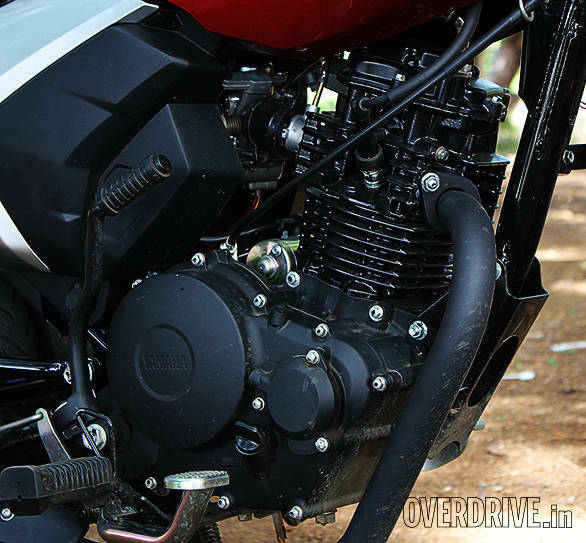 The engine is all new, based on the Blue Core FZ unit with a long stroke configuration for more low down torque. 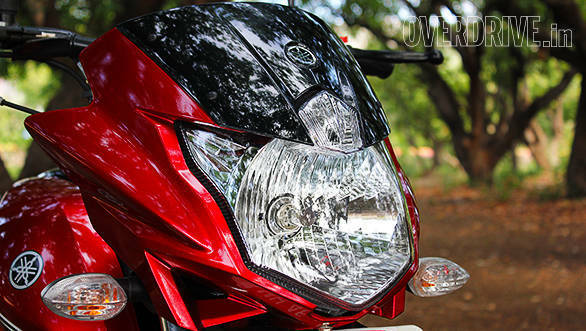 The 125cc engine produces 8.3PS at 7,000rpm and 10.1Nm at 4,500rpm. This new power plant aims to distinguish the Saluto from the SS125 as more of a commuter and hence the rather impressive 78kmpl ARAI figure. In our tests though, the Saluto only returned 64.3kmpl for the combined cycle. In our performance runs, it managed the 0-60 sprint in 9.4s and went on to a top speed of 86.7kmph. These figures see it fall to the back of the pack in terms of performance but considering that Yamaha are aiming the Saluto at the commuter buyer who's looking for a simple and efficient motorcycle, its takers wouldn't be looking to win sprints between stop lights. 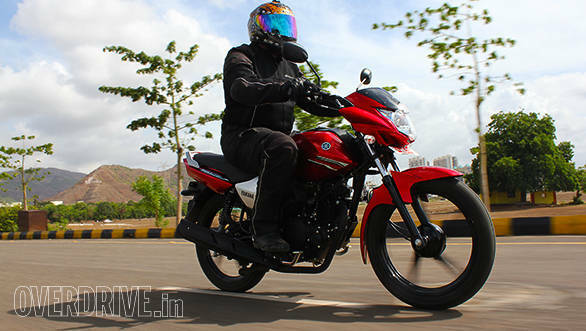 The first impression I had after swinging a leg over the Saluto was that it feels nearer in dimension to the pint-sized, lower displacement commuters rather than a more substantial motorcycle like the rest of its 125cc peers. But when you twist the throttle and pull away, you can tell you're riding something a little more powerful. It's a nice and refined engine at low revs where the meat of the torque is produced but as the revs increase, some vibrations creep in through the pegs and handlebars. But they only make an occasional appearance and thankfully don't increase too much in intensity as you near the redline. 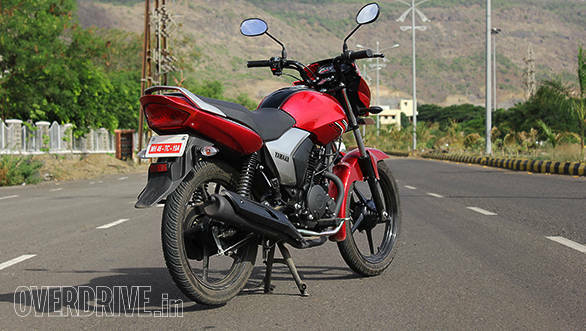 It's not as refined as the Honda Shine engine, for example, but not as thrashy as the Discover 125 M. Again, it manages to find a comfortable middle ground. Yamaha have focused on producing a lightweight chassis with the Saluto and it does weigh the lowest in its class. The chassis also feels taut and it's a very stable motorcycle around corners. The only limiting factor in the package seems to be the Ceat Secura tubeless tyres that seem to reach their limit before the chassis and suspension combination does. The drum only brake set-up is another wet blanket and we really wish that Yamaha could have included a front disc brake. The brake lever feels soft and there is very little bite from the front 130mm drum. 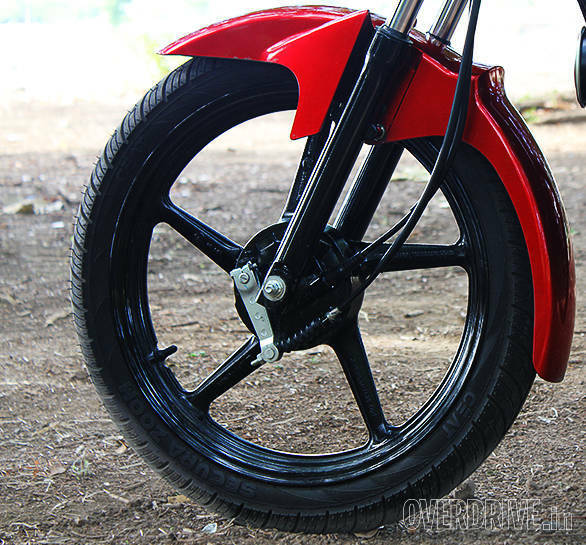 It's poor, even in the realm of drum brakes, and the Honda Dream Yuga, with similar drum brakes and weight actually comes to a stop eight metres before the Saluto. The ride quality on the other hand is a positive and though it's on the 'firm' side of good, it absorbed some very bad potholes on our test run, transferring little discomfort to the rider. 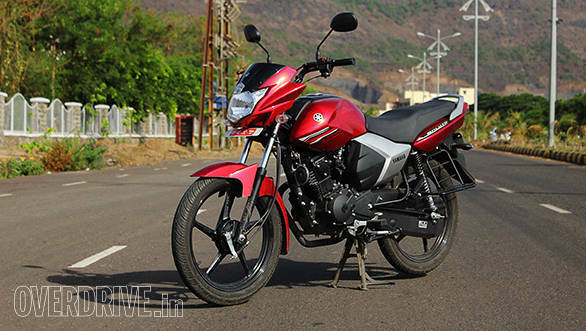 The Saluto is a well-built motorcycle with good handling and a refined and reasonably efficient engine. Yamaha wants to position the Saluto as a step up for commuters who want a little more performance than the 100-110cc class. But by just breaking middle ground in the segment, we wonder if it will manage to yank customers away from the class leading Honda Shine.